Practice Makes Perfect | Barbie Who? I’ll be honest here; I have never crocheted using tiny hooks and size 10 yarn. I have used various other sizes, styles, and techniques, but I have never worked with fine yarn for crochet. As expected, it has quite the learning curve. I created a practice outfit for two reasons. First, I needed to become comfortable using the materials. Second, most of the pieces I make for Cofelia will use black yarn. It will be harder to see the stitches using the darker color, so I need to be on my A-game before I make that jump. I consider this an investment towards the quality of my future work. Here is the finished product! I started by creating a shirt. The shirt is quick and simple; it mainly used a shell stitch. I am using a delightful purple yarn (size 10) and a small crochet hook (1.8 mm, size 6 US). 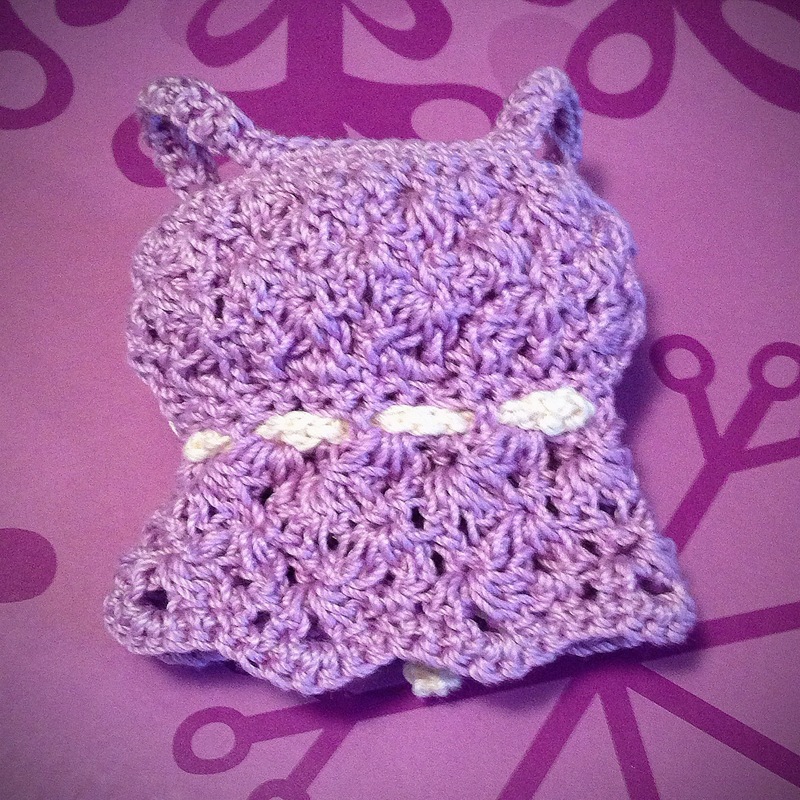 For the base, I used a pattern from Crochet for Barbie (she has many cute patterns; I love her blog!) for a sleeveless shell top. Once finished, I sewed up the entire back with slip stitches and used single crotchets to build up the top and create sleeves. I then created a 60 count chain of single crochets in a contrasting color to create the belt. This shirt took me one dedicated evening to finish. 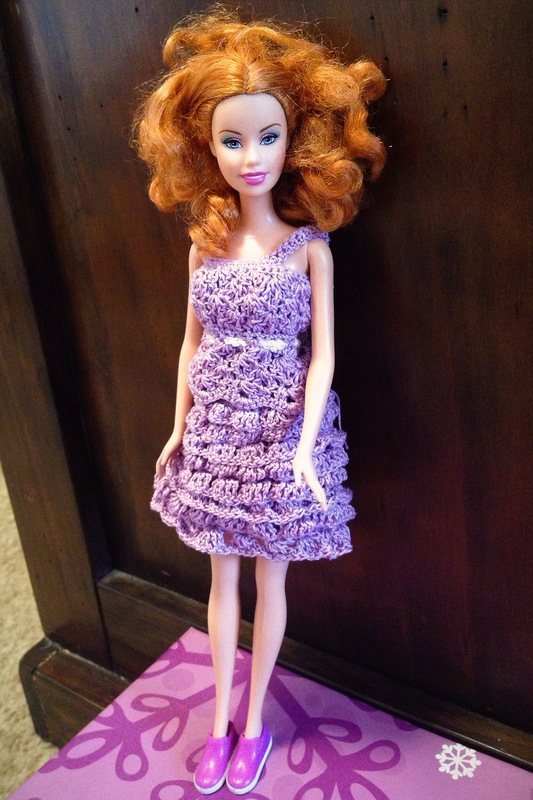 For the skirt, I used another Crochet for Barbie pattern for a ruffled skirt. This one took longer; I spent several nights working on it. I will admit, though, that much of that is my own fault. 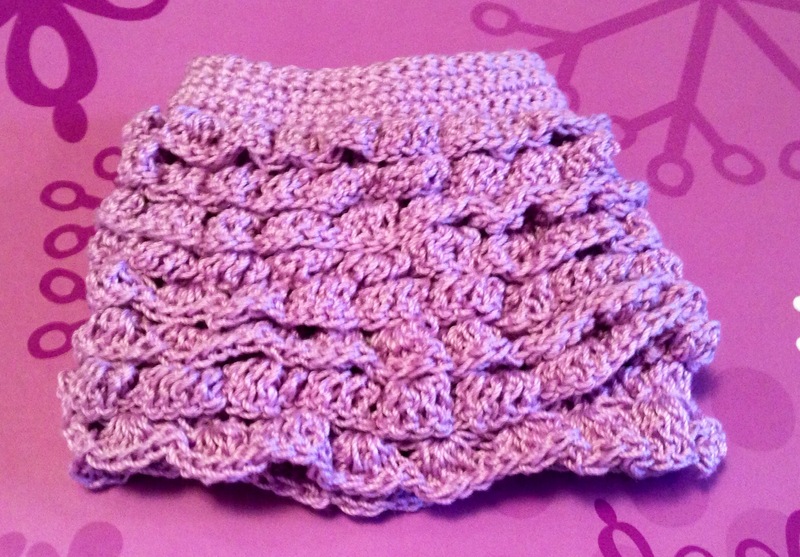 First, I misread the pattern for the ruffle row and didn’t realize how wrong I had gotten it until I had completed another row. I had to pull out both rows and re-stitch them properly. Second, I made my skirt a few rows longer than the one she created. I don’t like the mini-skirt look, so I wanted it to reach closer to the doll’s knees. To do that, I just added a few extra rows of ruffles. 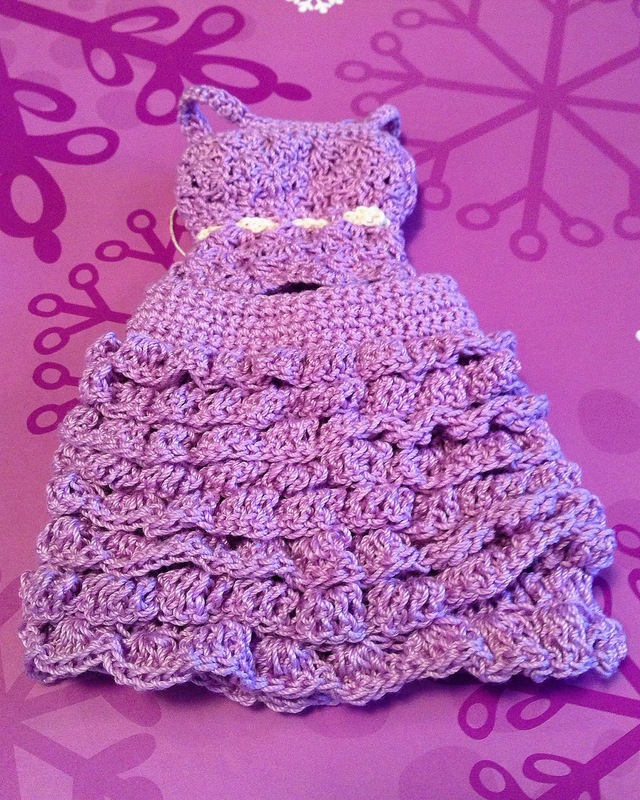 Overall, it is a fantastic pattern and makes an adorable skirt. I remember something similar in a book of patterns for doll dresses my mom had when we were growing up. I also have a few ideas floating in my head for variations. I’ll leave that for another day; first I need to finish Cofelia. For supplies, I used purple yarn I bought on sale at the craft store. For the contrast belt on the shirt, I used some beige yarn I found at a thrift store a few says ago. To finish the shirt, I used snaps I bought from a thrift store. The finished ensemble comes together beautifully. It’s the type of thing you just can’t buy at a big box store. I am pleased with how the outfit looks. I am also ecstatic that I learned some new tricks for working with smaller crochet hooks. Now I feel confident that I can create nice pieces for Barbie Who? dolls. Keep an eye out for the next update; it will include the first piece of Cofelia’s ensemble. That is really wonderful, I think this turned out wonderfully and I can’t wait to see more! Thank you! I’m excited about it all. I’m working on a jacket in black right now, and I am so happy I took the time to practice.